Roy’s promises to make for one of the most unique fine dining experiences available. Nowhere else will you find Roy’s Classic Hawaiian Martini, Yamaguchi Sushi, Misoyaki Butterfish and Chocolate Soufflé all at the same table. So escape to paradise and experience the world’s finest cuisine deliciously wrapped in a Hawaiian state of mind. 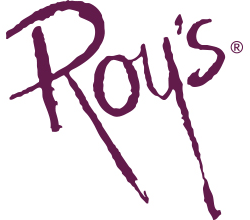 Learn more about Roy’s by clicking here.